When you have friends and family staying at your home, there’s nothing quite like making them feel both relaxed and comfortable. Aside from warm welcomes, there are also a few kind things you can do in the spare room for your guests. We have a wide range of designer rugs for the home, from beautiful designer rugs through to shaggy and woven rugs. Whether you need a new rug to fill out floor space, or simply protect wooden floors from heavy furniture, there’s no doubt that rugs provide perfect comfort for feet. If your guests are travelling from far afield, why not consider providing your guests with spare slippers to welcome them into the home on arrival? It’s not worth giving guests old mattresses, and you can still buy reasonable budget mattresses from acclaimed retailers such as John Lewis and Silentnight. 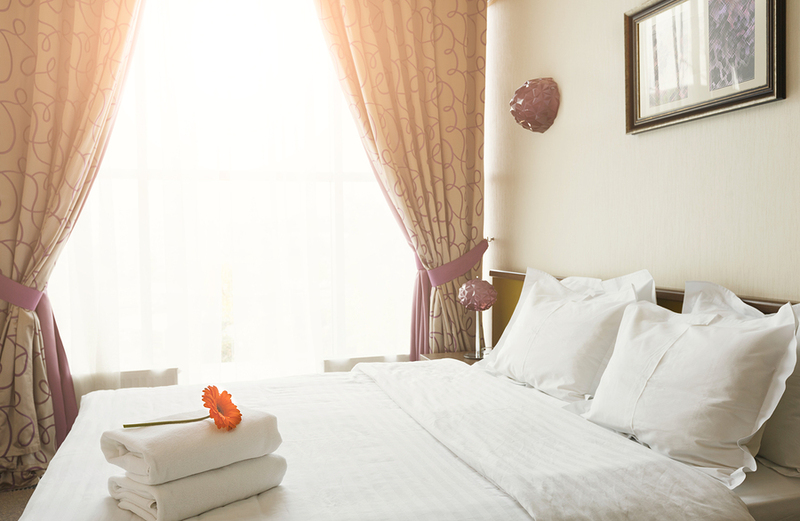 As you’re probably aware, clean and fresh linens are a must, but think about adding an extra set of bed and bath linens, as we all know, accidents do happen. If you’ve just redecorated your bedroom, experts recommend sleeping a couple of nights in the room to ensure that everything is just right for guests. It’s easy to forget the small things in a guest room, but simply by placing an alarm clock on the bedside table, alongside some tissues and perhaps a hairdryer, you’ll help make your guests feel at home in no time at all. If you want to be really fancy, you could even consider leaving paper, pens or pencils, and tape on the side in case your guests need to jot a few reminders for the days ahead. Drawer spaces and wardrobes are also crucial for guests who might be staying over for long periods of time. It’s pretty common for people to have fish or peanut allergies for example, but people can also react to certain cleaning products, so it’s worth checking with guests before they arrive. You can also buy certain products in and around the home that help alleviate allergies, such as hypoallergenic bedding and cushions. While we’re here, thanks to their smooth and hardy surfaces, wood, luxury vinyl tile, and laminate flooring are all great for keeping dust, dander, and other allergens at bay. Sometimes it’s just nice to lay on top of a bed for a snooze or a bit of a relax, so it’s worth providing a television and maybe even a spare novel on the bedside cabinet. This is also a nice little addition for if guests wake during the night.